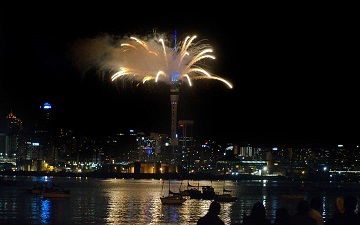 Police say that there were no significant problems or incidents reported at the main New Year’s Eve celebrations around the country. Officers largely dealt with minor disorder incidents, liquor ban breaches and intoxication. The Police said that large crowds at the Rhythm and Vines day music festival in Gisborne were well behaved, with no arrests. But in Gisborne itself, four people were arrested for disorderly offending. Despite large crowds, no major problems were reported at celebrations in Mt Maunganui, near Tauranga, they said. In Nelson, 18 people were arrested for drunk and disorderly behaviour. Police said they are generally pleased with the behaviour of people who went out to welcome in the New Year. Organisers of a South Island music festival said revellers basked in warm temperatures without any trouble or arrests. The Rhythm and Alps festival has wrapped up after three days at Wanaka’s Cardrona Valley. About 10,000 people camped out or visited the event. Festival director Alex Turnbull said it ran smoothly without any arrests or concerns. Bands included reggae group The Black Seeds and Christchurch band The Butlers.